Skin cancer is the most frequent type of cancer and is about 30% of all malignant tumors registered in the country. According to the publication “Incidência de Câncer no Brasil” [Cancer Incidence in Brazil], over 85 thousand cases in men and 80 thousand cases in women are expected for the 2018-19 biennium. These number correspond to an estimated risk of 82.53 cases per 100.000 men and 75.84 cases per 100.000 women. Worldwide, the highest incidence rates of skin cancer occur in countries as Australia and New Zealand, among people with lighter skin colors. 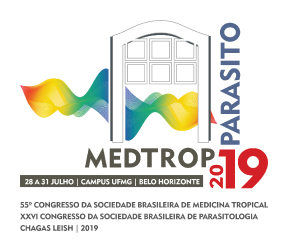 Espirito Santo Federal University Professor, Patricia Henrique Lyra Frasson, stresses that skin cancer is that with highest incidence in the world and that Brazil presents a considerable number of cases. The fact, according to her, could be explained because Brazil is a country of tropical climate with sunlight through most of the year. Besides this, the country received a large number of European immigrants, with light-colored skin, eyes and hair, who came to work in crops, suffering from long sun exposure since childhood. Besides this, there is a reduction of the ozone layer, which causes a decrease in protection against UV rays. Skin cancer is the most incident in men in the South (160.08/100,000), Southeast (89.80/100,000) and Midwest (69.27/100,000). In the other regions, Northeast (53.75/100,000) and North (23.74/100,000), it is in second position. Among women, is the most incident in all regions of the country. According to the specialist, the fact that skin cancer is more frequent in the South than in the Northeast, although this region has a greater ultraviolet radiation incidence, is due to the predominantly Caucasian population in the South, more susceptible to skin cancer. Santa Catarina is one of the States with high records. The largest numbers of deaths by the disease are in Joinville, Florianópolis and Blumenau. From the 1.190 deaths due to skin cancer from 2010 to 2015, 110 were in Joinville, 87 in Florianópolis and 66 in Blumenau. In Pará, the Baixo Amazonas Regional Hospital (HRBA), in Santarém, registered 532 cases, according to the balance from 2012 to 2016. 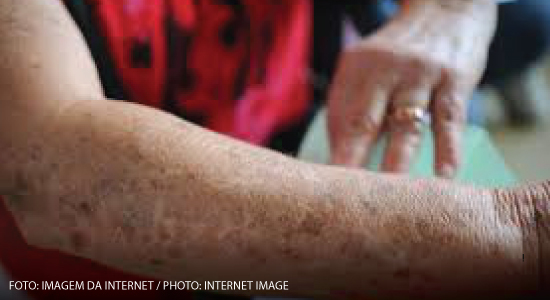 In Paraiba, every day, about five people discover they have skin cancer. 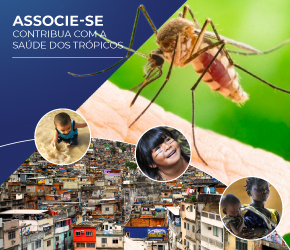 Rio de Janeiro alone responds for 13.9% of all cases of the disease in Brazil, from which, 49.18% are concentrated in the state’s capital. Tocantins registered 500 skin cancer cases from 2014 to 2017. To her, who is also a plastic surgeon, the investment in prevention and treatment programs can reduce the prevalence of skin cancer. “Campaigns to increase the correct use of sunscreen, of physical barriers (long-sleeved shirts, hats or pants during sun exposure) can reduce the appearance of lesions, since skin cancer is caused by the cumulative effect of the Sun, early treatment prevents the evolution of the lesions and serves as alert to the target population”, she says. Still according to her, sunscreen should be dealt with as a medication, not a cosmetic, making it more accessible by dropping the price. In addition to this, she suggests active surveillance in communities vulnerable to skin cancer. “When diagnosed and treated early, the cure rate can reach 95%”, she says. About the statistics, the doctor explains that regarding deaths, the number is much lower in non-melanoma skin cancer, because of the slow growth and low possibility of metastases, with a high cure rate when resected, when compared to melanoma, that although corresponding to 3 to 5% of the cases, is responsible for 95% of the deaths. She still alerts to the lack of notifications, which can occur for two reasons: the large expanse of the country and the fact of notification is not obligatory. A unique project in Brazil, with the participation of students and professors of medical, nursing, computer science and engineering schools at UFES, has saved the lives of over 100 thousand farmers from skin cancer. The Dermatological Service Program, created in 1987, has strongly contributed to manage skin cancer in the Pomeranian communities in the State. Dr. Patricia Frasson, one of the authors of the study entitled “Panorama of skin cancer in communities of Pomeranian immigrants in Espirito Santo State“, believes the project can be replicated in other Brazilian states, especially those with high solar incidence and with vulnerable populations who work exposed to sunlight. “Our program unites four partners: the University, that in the program, provides a teaching field for our students, bringing them closer to our populations’ reality; the State and Municipal Health Secretariats, whose benefit is the on-site treatment with specialist, preventing these patients to transport to the capital for treatment; and the Lutheran church. Each party has its obligations. There must be an understanding that everyone wins, and that without the involvement of all, there is no way to be done”, he adds. To learn more, watch the report aired by the program ES Rural , one of the finalists of the 2018 Tropical Journalist Award. Brazilian researchers developed a vaccine and had good results in tests performed on mice. The result was published in the scientific journal “Frontiers of Immunology“. Transferring this technology to the markets depends on completing pre-clinical trials and further clinical trials, in accordance to requirements recommended by commissions and regulatory agencies. These tests follow a standard schedule of about 8 years before reaching the market. While the vaccine is not a reality, the expert recognizes that new treatments such as immunotherapy, allow the control of the disease in severe cases. “Immunotherapy has had very good response when the indication is accurate, but the high cost is still an obstacle,” he regrets. Receive our monthly newsletter and stay on top of the main events of tropical medicine.